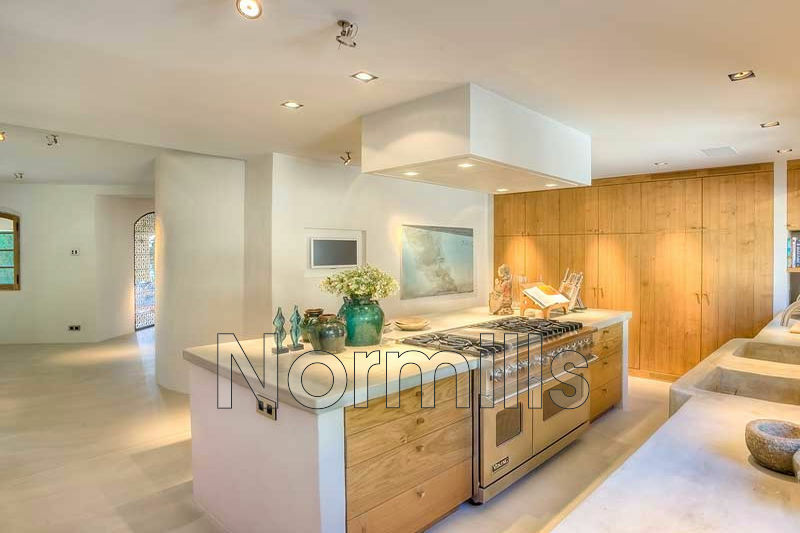 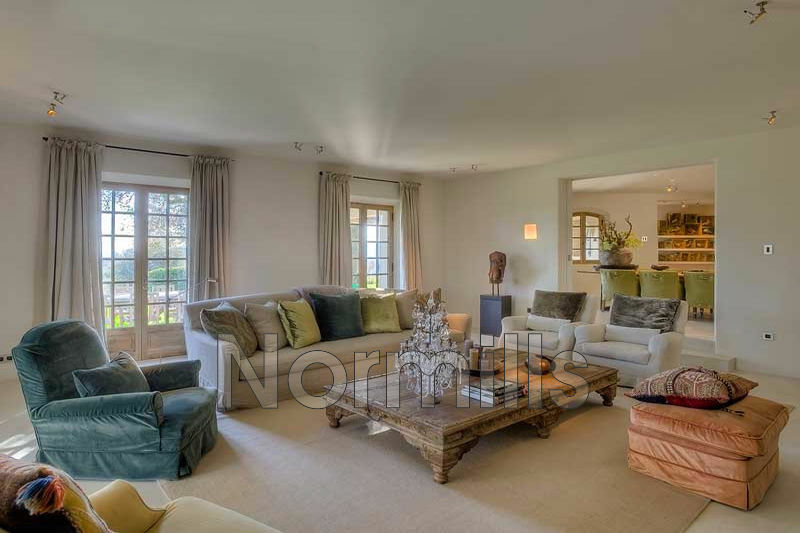 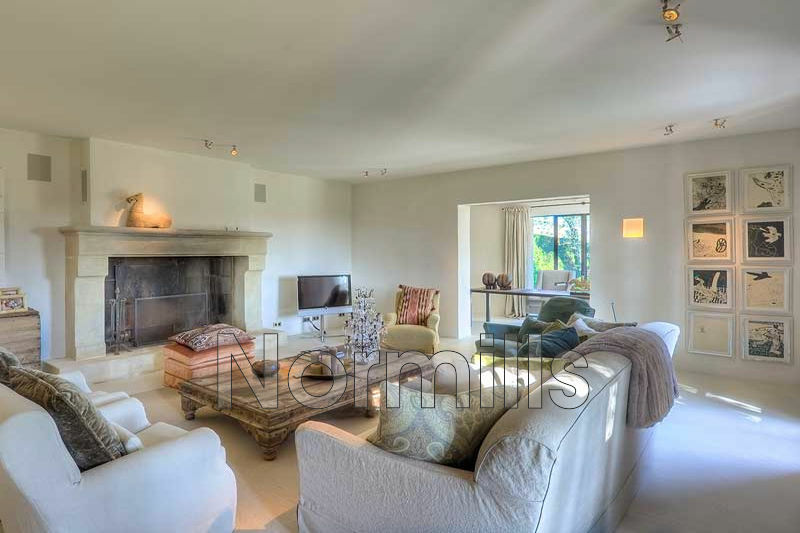 The property, located in a dominant position with a beautiful view over the village of Mougins and the sea, has a garden with Mediterranean vegetation, heated pool, pool house and tennis court. 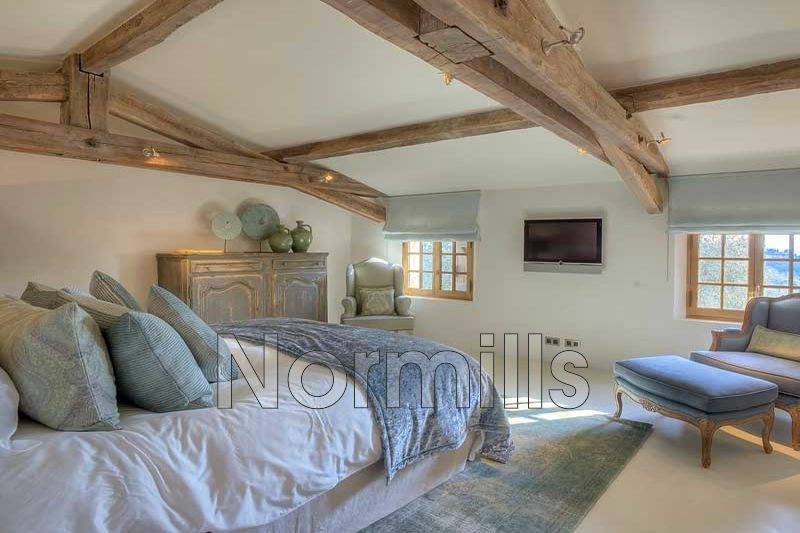 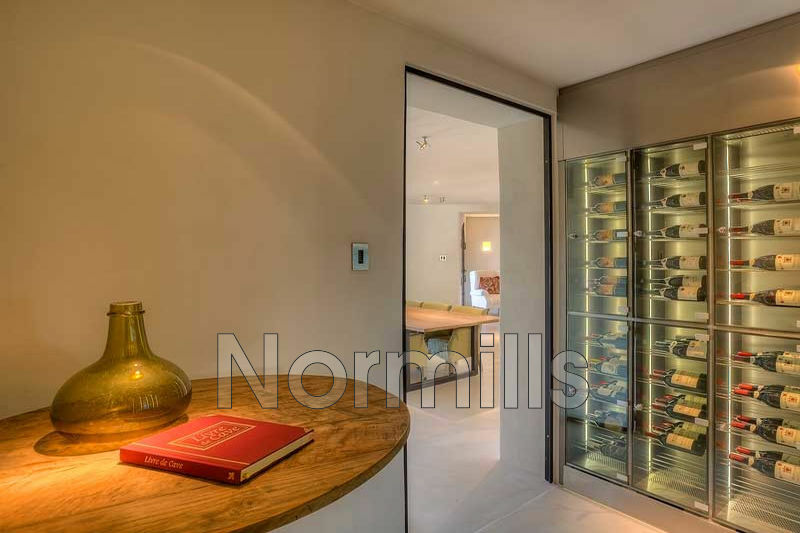 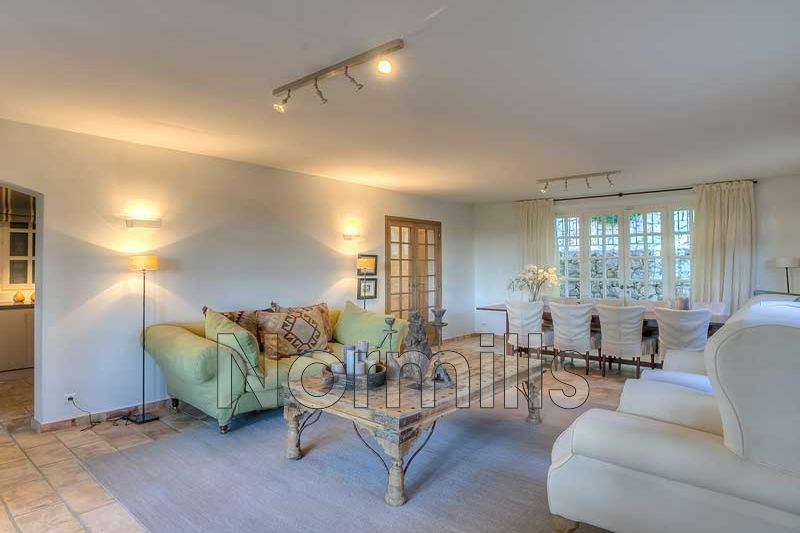 This Provencal farmhouse of about 460 m², has just had a complete quality renovation and is made of an entrance hall, dining room with wine cellar and equipped kitchen, living room with fireplace, office and five bedrooms with bathroom or shower. An independent 140 sqm guest house, with living room, kitchen, 3 bedrooms and 3 service rooms complements the property.